Good management is crucial to the success of any organisation. A good credit manager will keep your cash flow healthy and protect your company's finances. Portfolio specialises in the recruitment of credit control experts – spanning the entire hierarchy of the department. We find qualified and suitable individuals for management positions, as we have a keen eye for the required skills and attributes needed to succeed in such roles. Qualifications from the Chartered Institute of Credit Management (CICM) are highly desirable, as is membership with the institute. This demonstrates that the candidate is committed to the profession and understands the importance of best practice and keeping up with the rest of the industry. Previous experience in a senior position (ideally several) is usually essential. We carefully scrutinise each applicant's career, as we only want to send interviewees over to you who are genuinely qualified for the role. If you have specific expectations of your management, we can factor this into our recruitment process. We look for capability as well as experience – in other words, we consider whether or not the applicant demonstrates strong enough leadership skills. 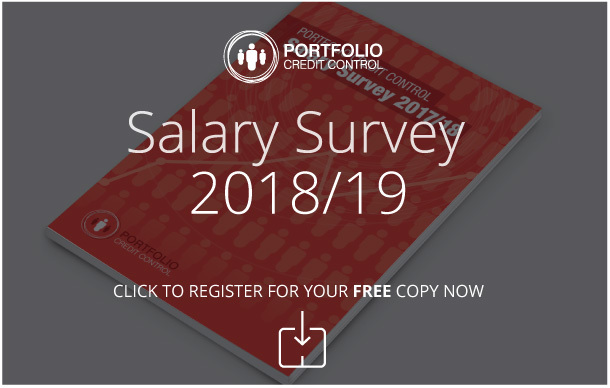 Especially with senior positions such as credit management, it is also crucial that the professionals you hire align with your organisation's values. We understand how hard you have worked to establish your own culture, and we want to make sure it continues to be upheld by passionate and conscientious people. We are experts in the recruitment of talented and proactive credit control professionals, and will work with your organisation to find a qualified credit manager who suits your company. Ultimately, we will make sure you hire the right person for the job. Contact us by phone on 020 7650 3199, or email recruitment@portfoiliocreditcontrol.com and we will get back to you as soon as we can.